We women are organized in such a way: we constantly need proof of love from men. And some women can not live without them at all. We will not go into details now why this happens with women, because many people already understand that everything depends not only on doubts, but also on the self-esteem of the woman herself. 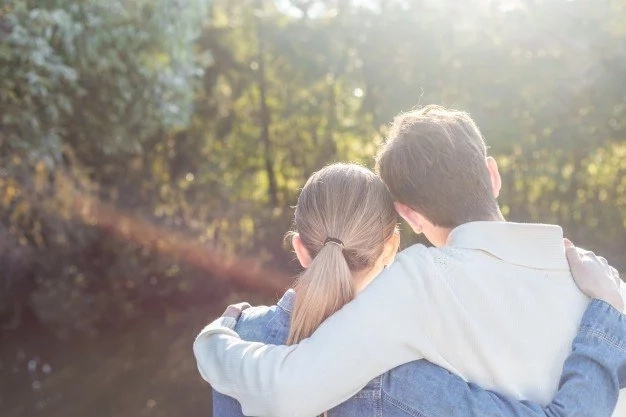 But even if it's not a matter of self-esteem or doubts, but simply in youth and inexperience of a girl, yet some signs of a man's love are worth knowing. After all, by youth, it's not always easy to understand whether a man loves you or just plays love. 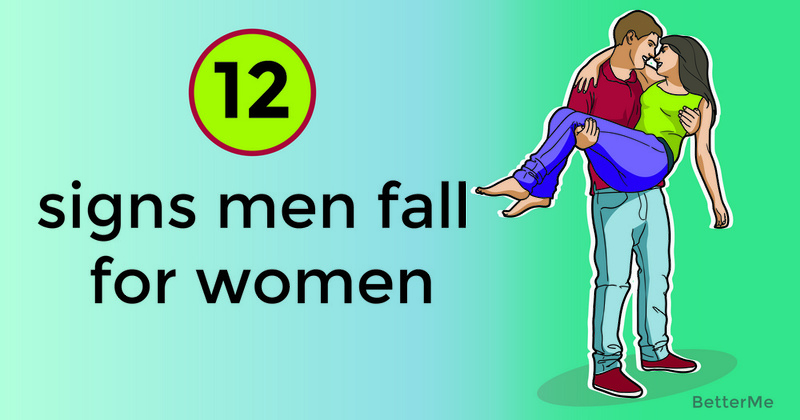 We have listed 12 signs that a man has fallen in love. Check them out! Perhaps this is the surest sign that a man is in love. However, this can be attributed to the love of a woman. When a person loves, he sees in the object of love only positive aspects - all the negative he does not notice. He will try his best to support you, to support the family, to behave like a man even when there is no need for it. Love implies the manifestation of the best male qualities, including the qualities of a defender, and caring for children. For example, to buy children's boots for your child is no problem for him. If a man is really in love with you, he simply does not notice other women. No one says that he will cease to pay attention and greet people, just the object of his love will always be you and this can not be noticed. Sometimes this excessiveness is manifested in everything and may even seem intrusive. He can over-patronize, care, etc. But there is nothing wrong with this, this is yet another proof that a man behaves like a man and does not play love. To speak for him: we will do, we will leave, we will build, we will buy - it is quite logical. Because he connects the future with the woman he loves. If you hear constant talk about a joint future, this is a sure sign that a man is in love with you. Any man has secrets and he is not ready to share them and his thoughts with others. The psychology of the man is a bit different. But if you hear what you think a man should conceal, know this shows full trust in the person in whom he is in love. This does not mean that he will hang hours with you on the phone, talking. Just in your company, it will be much cozier and better than without you. He will try to spend his free time with you as often as possible. Despite the fact that we often think that a man has no fantasy at all, in fact he is able to show great imagination and ingenuity especially when he really loves a woman. Pleasant surprises, even small ones, will be really pleasant for you. After all, he wants you to be well with him. If a man introduces you to his friends, then you can be sure of his feelings for you. He does not hesitate to demonstrate what he feels for you all over the world. And that's why he is ready to introduce you to the circle of his friends to spend time together. Be sure that questions about your life before him are not just idle interest, but the lively participation that he demonstrates. He wants to know you, learn all about your life, to get to know you even closer. It is important for him that your environment also falls in love with him. After all, your loved ones are you. Accordingly, the love of loved ones will bring him even closer to you. That is why it is important for them that they accept it as your integral part.